High altitude is considered anything over 1500m above sea level, however, generally speaking altitude sickness is not seen until about 2500m or higher. It involves a series of symptoms associated with the lower ambient oxygen pressure. As you go up in altitude, the air pressure begins to drop, and after about 2500m, the air becomes thin enough that air diffusion becomes low enough to cause hypoxia, or other symptoms associated with arterial gaseous pressure changes (HAPE & HACE). Your cells require oxygen to function and grow, and with reduced oxygen availability, your body must respond in order to meet the demands. It does this by raising blood pressure, increasing heart and respiration rate. This is all an attempt to deliver more oxygen to the cells. As the response becomes greater, eventually the body fails to keep up with the lack of oxygen and serious complications can occur as a result. Learn more about altitude sickness. Nothing except descending to a lower altitude, and oxygen or hyperbaric therapy is going to effectively “treat” altitude sickness (AKA AMS), however, there are many natural supplements that can be used to combat the ill effects, and reduce the chances of serious consequences from occurring. By far the best prevention for the development of altitude sickness and its serious complications (HACE and HAPE), is acclimatization. This refers to the act of slowly increasing altitude over a period of time (2-3 weeks) to allow the body to naturally adapt and build up a resistance to the lower oxygen concentration environment. There are a number of herbs that can steer the body in this direction, as well as directly act to combat some of the negative effects occurring from the low oxygen environment, let's have a closer look. Caffeine is part of a family of chemicals known as xanthine alkaloids. Other such members include theobromine (contained in high amounts in cacao, and moderate levels in yerba mate), and theophylline (found in coffee and tea). This class of chemicals are mildly diuretic, but would need to be consumed in very high amounts to cause significant water loss. These chemicals are classified as “positive inotropic agents” which means they makes the heart beat with a stronger force. This is extremely beneficial in high altitude conditions because the main problem with altitude is not being able to get oxygen to where it's needed fast enough, or in enough supply. By beating harder the heart can push the blood further through your arteries with each beat, reaching more tissue, and speeding its return to the lungs to be re-oxygenated. Caffeine also offers some athletic support, giving you an energy boost to push through a hard traverse or steep incline. Theobromine, a very similar chemical to caffeine is found in high amounts in cacao, and in moderate amounts in yerba mate, has these same benefits, except has been suggested to be even better as a cardiotonic. Theobromine also has the added benefit of providing vasodilating properties. This is important because the cause of the most serious complications of altitude sickness (HACE and HAPE) are related to vasoconstriction. More research needs to be conducted in this area however, I just wanted to get the idea circulating and get some conversations started. The himalayan mountains have many of the highest peaks in the world including the ever famous mount everest. The indigenous cultures of tibet have long used the herb Cordyceps sinensis to combat the ill effects of this high altitude. This herb is actually a very peculiar fungus that infects, zombifies, and consumes caterpillars. You may have heard of it by one of its common names “zombie fungus”, because of its practice of manipulating these caterpillars into the peculiar practice of burying underground, before dieing and allowing the fungus to consume its corpse. It may then be a coincidence (or maybe not) that this fungus is most commonly found growing at high altitudes, especially in the Tibetan himalayas. As strange as this fungus is, the effects it has against altitude are not. It's considered an adaptogen due to its non-specific effects against various stresses in the body, and is often consumed in a powder, alcoholic extract, or tea to improve the body's immune system. It achieves this through the same process it uses to increase our ability to adapt to low oxygen environments... through the blood. Cordyceps act as a vasodilator, directly combatting the effects of high blood pressure associated with AMS, which is also the cause of HACE and HAPE through fluid leaking out of the blood and into the brain and lungs from the extreme pressures of the blood. Not only is is a vasodilator, but it increases your body's efficiency of using oxygen at the cell level, and increasing the hemoglobin content of blood (the oxygen carrying portion of red blood cells) and is often used as such with athletes to improve their aerobic performance. These effects have been suggested to be even more pronounced and effective if combined with Rhodiola crenulata . This supplement will likely be most effective if taken over a long period of time both before exposure to high altitude, and during. This is indeed the plant where the alkaloid cocaine comes from. But no, I am not suggesting you take cocaine to ease the stress from high altitude. I am however suggesting that this age old remedy for the ill effects of living or traveling to high altitude has been well tested, and has been the standard for this condition but cultures living in the region. Indigenous cultures living in the high mountains of the South American Andes, have long used the “sacred” coca plant to combat the effects altitude has on human health and function. The traditional method was to stuff a handful of coca leaf in the mouth, and some powdered lime (the rock not the fruit), which helps break the leaf down and release its contents. This was then chewed until all the constituents were consumed before being refilled. More modernly however, the method of choice with travellers and locals alike appears to be in a tea. Obviously there are some political issues with using this herb, but I assure you it is NOT the same as the cocaine you often see demonized in the media. It is the plant in its natural form, and users are not akin to drug addicts. There has been little qualitative study however on the physiological effects taking place in the body in regards to altitude sickness and the coca leaf, and more study in this area is needed to determine the extent of its effects against AMS. . This herb has received a lot of media attention for its effects on combatting altitude sickness. Ginkgo does not treat altitude sickness, contrary to what a lot of web sources report. It will however help to prevent its occurrence in the first place through increased arterial oxygenation . These effects are only going to be significant if ginkgo is taken steadily for a few weeks before exposure to high altitude. It's also recommend that a concentrated, standardised herb extract is taken, which is generally standardized to 24% flavone glycosides, and 6% terpene lactones, since this is the product that most study for this has been done on, and the natural powdered herb may not contain enough of these glycosides to be effective. Maca (Lepidium meyenii/peruvianum) is the highest altitude crop in the world, growing above 4000m. For the populations living in the Andean mountains, this was (and still is) a staple food. It's been the subject of a lot of study recently for its benefits on sexual function, endurance and strength training, and with hormonal issues such a menopause. There have also been studies on its effectiveness for treating altitude sickness. One study conducted on a group of people living in the district of Junin in Peru, situated 4100m above sea level. Some consumed maca regularly and others did not. 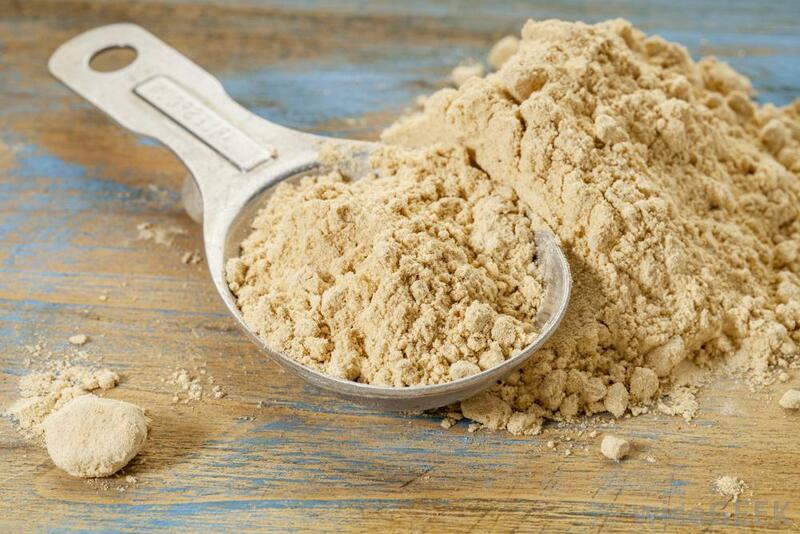 The results of this study showed that those who consumed maca on a regular basis had a significantly higher health scores than those who do not. Researchers attributed this to the maca intake and its effects on combatting the long term negative effects of living at altitude . This study was focused on the populations actually living at altitude, however the same principles would have a benefit on those simply trying to cope with and perform in a high altitude situation for a short time. The best way to take this, however, would be to pre-treat your self for a few months with a high intake of maca before the trip, rather than trying to supplement it while you were there as a treatment. 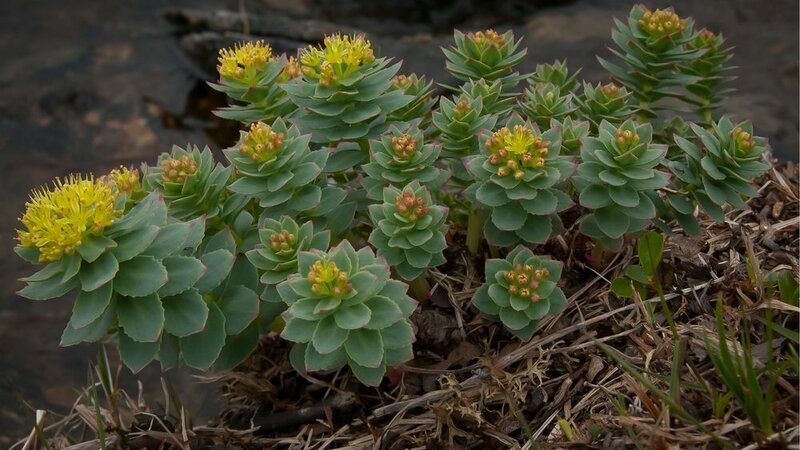 Rhodiola crenulata is a plant found commonly in high altitudes (3500m-5000m) in mountainous regions of the world including the rocky mountains of western Canada and United states. A few studies have been conducted on the effect of rhodiola on both endurance and high altitude performance. Long-term supplementation of rhodiola root increased the swimming tolerance in mice significantly. This translates to an improvement in athletic performance in humans as well. Further investigation discovered that this herb acts in a similar way to cordyceps on vasodilation, and improving oxygen efficiency at a cellular level . Cognitive encanhement supplement containing bacopa, Rhodiola, B12, Phosphatidylserine, DMAE, and Ginkgo. International Society for Mountain Medicine. (2006, January). Non-Physician Altitude Tutorial. Chen, C. Y., Hou, C. W., Bernard, J. R., Chen, C. C., Hung, T. C., Cheng, L. L., ... & Kuo, C. H. (2014). Rhodiola crenulata-and Cordyceps sinensis-based supplement boosts aerobic exercise performance after short-term high altitude training. High altitude medicine & biology, 15(3), 371-379. Moraga, F. A., Flores, A., Serra, J., Esnaola, C., & Barriento, C. (2007). Ginkgo biloba decreases acute mountain sickness in people ascending to high altitude at Ollagüe (3696 m) in northern Chile. Wilderness & environmental medicine, 18(4), 251-257. Hillebrandt, D. (2010). Wilderness Medical Society Consensus Guidelines for the prevention and treatment of acute altitude illness—a view from the other side of the Atlantic. Wilderness & environmental medicine, 21(4), 383-384.